What a splendid and beautiful flower arrangement! 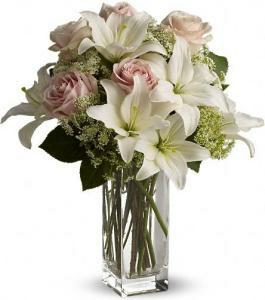 With light pink roses and white lilies, this bouquet will by far warm your loved one's heart, not to mention a perfect decor for anyone's home. The vase can be ordered separately.